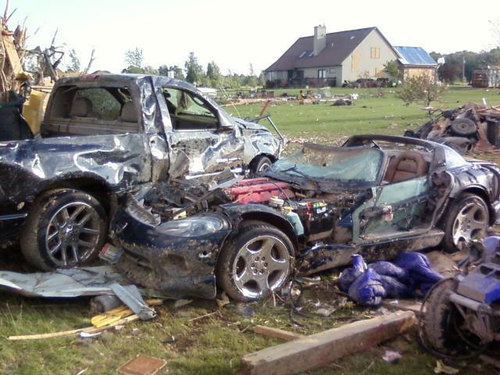 Dodge Viper gets destroyed by tornado in Ohio Picture. There’s nothing we can do about Mother Nature when she decides to unleash her wrath on all of us. That wasn’t any more evident as when she sent down a tornado in Ohio recently that took the lives of seven people and left countless others homeless. And then there’s the matter of property damage. If you have never experienced a tornado before, we definitely would not wish the experience on anyone. Tornados seem to be completely insensitive to lives and property alike. They are destructive in every sense of the word.